Washington, Feb 10 (IANS) Democratic Senator Elizabeth Warren has officially launched her election campaign to become the party's presidential candidate for the 2020 United States polls. 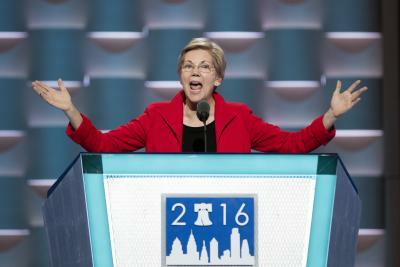 Warren on Saturday made the announcement at an event in Lawrence in her home state of Massachusetts, where she took a shot at the current administration and the nation's politics, Xinhua news agency reported. "We need to take power in Washington away from the wealthy and well-connected and put it back in the hands of the people where it belongs," she said in her speech. The campaign of Warren, who's on the Democratic Party's left flank, will focus on economic equality, government accountability and reining in big corporations. She pledged on Saturday to "break up monopolies when they choke off competition" and "take on Wall Street banks so that the big banks can never again threaten the security of our economy." Brad Parscale, campaign manager for President Donald Trump's 2020 re-election, accused Warren of being a "fraud." "Elizabeth Warren has already been exposed as a fraud by the Native Americans she impersonated and disrespected to advance her professional career, and the people of Massachusetts she deceived to get elected," Parscale said in a statement on Saturday. Trump has called Warren "Pocahontas" and claimed that she benefited in schools and work from minority status. She's now officially joining a crowded field of Democrats seeking the party's nomination to take on Trump next year.